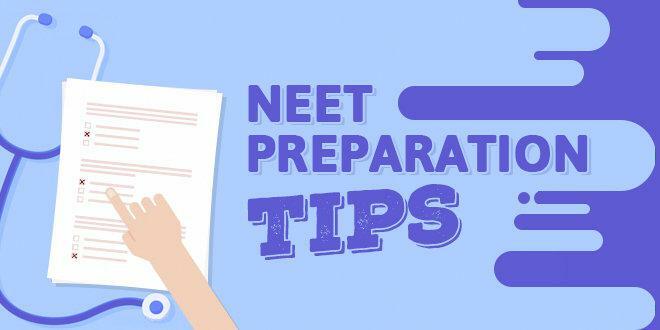 NEET is the standard examination for medical entrances conducted by NTA. Physics is one of the most conceptual subject out of the three, namely, Physics, Chemistry and Biology- which are included in the syllabus in the exam. It has got 25 percent weightage in NEET exam where total marks is 720. It has been observed over the last year cut-off marks that to secure a rank within 3000 a candidate has to score somewhere around 140-150 marks in the section. To achieve the maximum score in the Physics portion of the paper, it is essential for a candidate to mark maximum questions correctly and at the same time, as the paper has negative marking for incorrect attempts, one must mark only those question which the aspirant is certain about. The candidate can score maximum marks in the subject by taking the following points in to consideration. Analysing the Previous year question papers. Do no leave out any topics while studying. Revise all the concepts, twice and make sure that you understand them. Analyse the attempts in those tests and then rectify them. Check out the all the questions quickly. Here, the “2 second rule” is a big win for candidates. Figure out in 2 seconds whether you will spend your next 2 minutes on the question or not. Never spend time attempting questions in which you have no clue regarding the possible answer. Cross check your marked response. When your target is the highest marks, you need to have a holistic approach towards the structure of the exam. So, the most important factor is the coverage of the entire syllabus. A serious candidate should have a thorough knowledge of the content in the syllabus. Suppose you cover 75% of the syllabus with full efficiency in your attempts while your friend covers 95% of the syllabus with 90% efficiency, then it is more likely that your friend would have a better opportunity when the examination is over. Hence, the importance of maximum coverage of syllabus should be the stepping stone for your preparation. The nature of questions asked in Physics paper of NEET mostly comprises conceptual questions. Thus, to score maximum marks, a candidate has to be efficient in understanding each and every concept. The previous year examination analysis suggests that a candidate should practise the concepts by attempting variety of questions. This is the way to hone the problem solving skills. Further steps will help you in this regard. A candidate should focus on those areas of the subject where they find themselves weak. Have a schedule based on your analysis. Allotment of time for each section and sub-section should be done on the basis importance of the topic and your comfort level with those topics. A serious student must focus on his non-comforting areas and improve on them. Allotment of time should be more in important and weak areas. Continuous revision of the every topic in regular intervals. Make targets for short period of time. Modify the schedule based on the analysis of the daily quizzes, Mock tests and previous year questions papers. Manage the speed breakers in your study. Keep yourself motivated so that you are sincere to your schedule. Allot the maximum time of study in the time of the day when you are most comfortable. Every aspirant should always have a smart approach, which comes with a smart schedule. Always take day-to-day feedback of your preparation so that your execution is always inline. Finally before the examination day relax yourself and maintain a healthy diet.